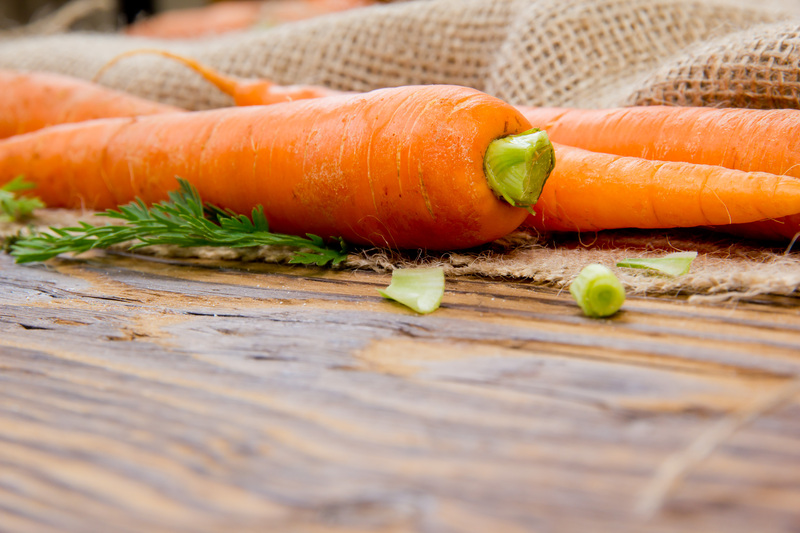 We often get asked the question by our customers “Do I have to add the oil when rehydrating Olewo Carrots”? Olewo Carrots are loaded with beta-carotene which provides many of the health benefits. Beta-Carotene is a precursor to vitamin A, meaning the carotene must first be converted to a form of Vitamin A that the body can use. Since Vitamin A is a fat-soluble vitamin, the addition of a small amount of oil will aid that conversion process. Many of our customers tend to not add the oil, and they say it is fine without because they are seeing the benefits of Olewo Carrots in their dogs. That is probably true since the carrot mixture gets added to the dog food which contains some fat. The additional recommended amount of oil, I would think, assures there is enough oil present to aid the beta-carotene to Vitamin A conversion for maximum benefits. Some dog foods like puppy foods and high performance dog food have a higher fat content which is sufficient to aid the beta-carotene to Vitamin A conversion, and therefore oil should NOT be added, because too much oil can actually cause diarrhea. What Are Good Oils to Use? The next question we get asked a lot is “What oils are good to use”? This is my personal favorite I use for our dogs as well as for ourselves. 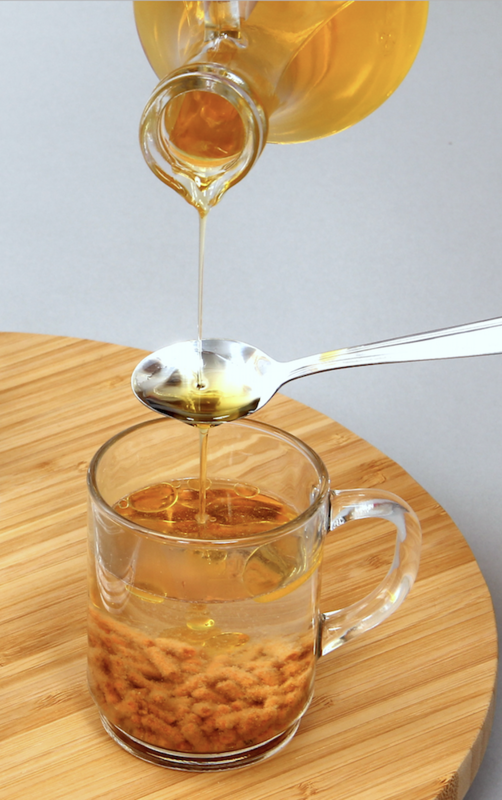 It is one of the healthiest and most versatile unprocessed oils in the world, and you can even cook with it because it remains stable when heated. Coconut oil actually provides many health benefits as well, including balancing of hormones, improving digestion, supporting metabolism, balancing blood lipids and sugar, and many others. The vast majority, more than 85%, of the fats in coconut oil are medium-chain triglycerides. The medium-chain fatty acids (MCFAs) found in coconuts are easy for the body to burn as fuel for energy. In my opinion, extra virgin coconut oil is the best choice of oil to use when rehydrating Olewo Carrots. This is also a good choice because flaxseed oil has anti-inflammatory properties and contains high levels of essential fatty acids (EFAs). Flaxseed oil helps to lubricate the colon and soothe an inflamed gut. When using olive oil as a salad dressing for yourself, or to rehydrate Olewo Carrots for your dog, it is a healthy form of fat. While there are mixed opinions, according to Dr. Josh Axe and other credible sources, olive oil should not be heated because the healthy fats can oxidize, which makes it unsuitable for cooking. Many pet owners are adding a fish oil to their dog’s food. The most common fish oil used is probably salmon oil, but there is also cod liver oil, anchovy, and sardine oil. Supplementing your dog’s food with fish oil is a great choice because dogs need and can benefit greatly from essential fatty acids. If you are already using a fish oil, then no additional oil is needed when rehydrating Olewo Carrots. Canola Oil and Vegetable Oils are not good choices because they are not good for your health as well as the health of your pets. Over 90% of canola oil and other vegetable oils, including corn oil and soy bean oil, are produced from genetically modified (GMO) plants. they are in the house. I know carrots and beets are food products so I don’t think this will be overkill. A dog can have a daily dose of each, the Olewo Carrots and Olewo Red Beets, and many of our customers feed both daily because of the different benefits these two vegetables provide – so do we. With regards to your 2 dogs with cancer and Cushings, we really cannot advise you, and you should always discuss anything new you are adding to your dogs’ diet with your veterinarian. It sounds like you are providing your dogs with an excellent diet and some healthy additions. I totally agree with you, not to overdo too much of a good thing. If you decide to feed Olewo to your 2 dogs with cancer, I would do it in moderation and not feed both each day. Just one each day, and perhaps not even the full dose would be a good approach. You can rotate daily or weekly. Some people and websites promote the idea that sugar (and carbohydrates by extension) “feeds” cancer, and while there may not be any conclusive research to prove that, I would definitely stay away from processed sugar and refined carbohydrates. But that is not what we are talking about with carrots and red beets. The natural fructose and glucose in vegetables provide the cells in the body with energy needed to function. Carrots and red beets contain antioxidants and phytochemicals (only found in plant material) that actually help fight diseases and certain cancers. Amongst many other benefits, carrots help promote gut health which affects the dog’s entire body, and red beets help detoxify and fight inflammation. A couple of customers who have dogs with cancer shared with us that their veterinarians said all the benefits from Olewo Carrots and Red Beets far outweigh the concern about the small amount of natural sugars. But again, everyone has a different opinion, and you need to make your own informed decision when it comes to those two dogs.